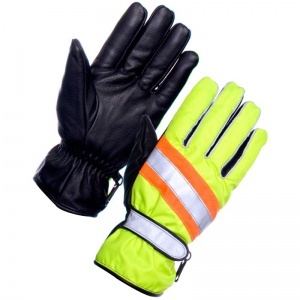 The Supertouch Super Vision Gloves 2944 feature a soft leather palm and a Thinsulate liner. The Supertouch Super Vision Gloves 2944 offer optimum comfort combined with great grip and dexterity. This makes the Supertouch Super Vision Gloves 2944 ideal for any tasks requiring enhanced visibility.